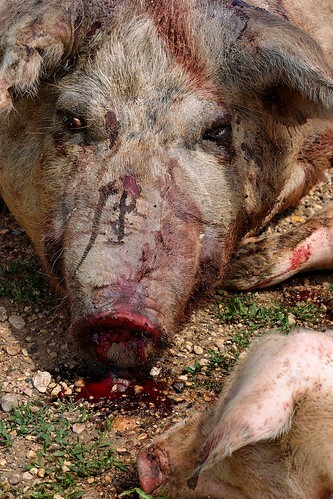 Dead Sow [with piglet], posted by Matt Niebuhr. Here’s a great thread started by FINDO over at the Deleteme group…. on flickr….check it out for comments on the why this photo question…. This entry was posted in Criticism, Other by Matt Niebuhr - West Branch Studio. Bookmark the permalink.